Back pain is a common problem that can affect individuals of any age. The discomfort can be intermittent or chronic, and can be severe enough to impact normal activities. Chiropractic care offers a variety of techniques to reduce back pain. At Spine Pain Center, your Mount Pleasant and North Charleston chiropractors can help relieve pain and improve your physical function. Many individuals experience low back pain from moving or home improvement tasks. It can be a dull ache or sharp, disabling pain. Middle back pain can occur from poor posture or from disc disorders. Repetitive motions often cause middle back pain. Upper back problems generally occur due to working at overhead tasks or bending procedures. Some of these problems can also result from degenerative conditions of the spine and discs. Muscle sprains are often the cause of back pain. If you have experienced a fall or blow to the back in an auto accident, you may have ongoing pain. The discs that cushion the bones of the spine may become herniated or bulge out of position, leading to chronic pain. Stenosis, a narrowing of the spinal canal can lead to pain and nerve impingement. Degenerative disc disease or arthritis that comes with aging can cause ongoing back problems. Your chiropractor will utilize modern equipment to determine the source of your back pain. Manual adjustment may be used to re-align vertebrae and relieve pressure on muscles, tendons, and nerves. Spinal decompression is a traction method that gently separates the spinal vertebrae, allowing bones and discs to return to their normal position. Corrective exercise and rehabilitation strengthens supporting muscles and increases the range of motion. Nutritional counseling helps to manage weight and improve healing. The chiropractor can also advise you on ergonomic improvements in the home and at work, to reduce the risk of further injury. Make Spine Pain Center Your Chiropractors in Mount Pleasant and North Charleston! The doctors at Spine Pain Center have extensive training in chiropractic techniques and musculoskeletal disorders to ensure their patients in Mount Pleasant and North Charleston, SC enjoy pain-free movement and improved function. We offer state-of-the-art equipment and the most current techniques for quality patient care. 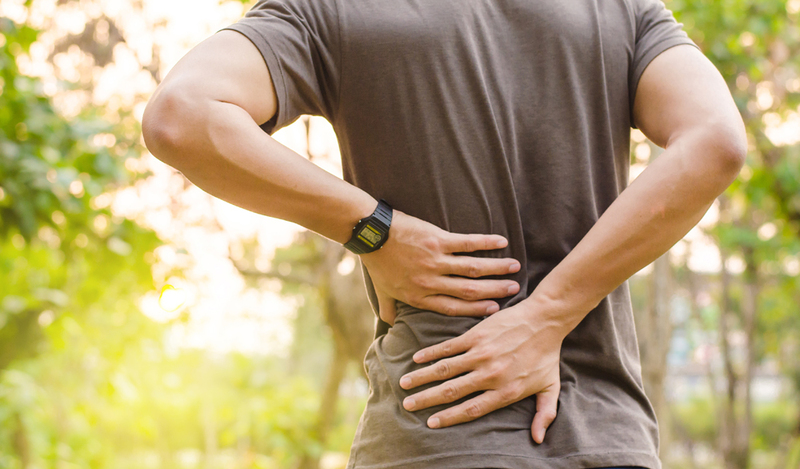 Call Spine Pain Center today at 843-606-2412 in North Charleston or 843-884-8444 in Mount Pleasant to learn more about the chiropractic methods that can relieve your back pain.